France coach Laurent Blanc has been cleared of any wrongdoing after a government inquiry was made into allegations of a ‘racist quota’ being put in place to supposedly limit the number of ‘dual-nationality’ (i.e, non-white) players being inducted into French training centres at the ages of 12 and 13. Sounds pretty damning to my ear but the sports ministry’s inquiry into the allegations has today concluded that Blanc was not guilty of racial discrimination. 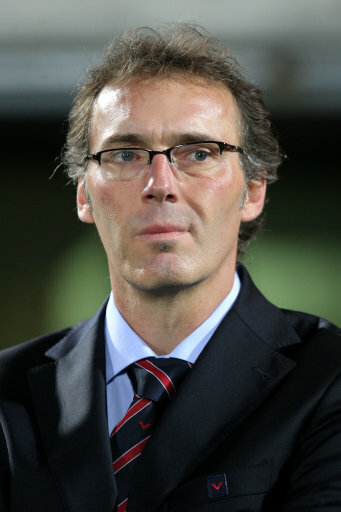 The French Football Federation also had their five-penneth, apologising on Blanc’s behalf and claiming that he ‘is angry with himself and can’t believe he made those comments’. There we go. Problem sorted. Well said, where exactly would French football have been without dual-nationality players? Nowhere. Raymond Kopa, Just Fontaine, Lilian Thuram, Zinedine Zidane, Marcel Desailly, Patrick Vieira. None of those would have been able to play. Black players from the French Caribbean (Henry, Thuram, Gallas, Abidal…) are not dual-nationals, so to say this is code for “non-whites” is not accurate. Besides, many white Frenchman have a parent or grandparent from another country, too, giving them dual nationality as well. For this reason, Ludovic Obraniak plays for Poland, and promising youngster Timothée Kolodziejczak might join him. Another dual national, Kévin Gameiro, considered playing for Portugal before choosing France. Peter, the proposal wasn’t to *ban* dual-national players, but just to limit them to about 30% of the pool of youngsters brought into the Clairefontaine academy. And even if a budding superstar were not included in that group, he could always be picked for the national side later on. The bottom line is that even if implemented, this wasn’t likely to make much of a change in the makeup of the French team and this whole controversy is a tempest in a teapot.